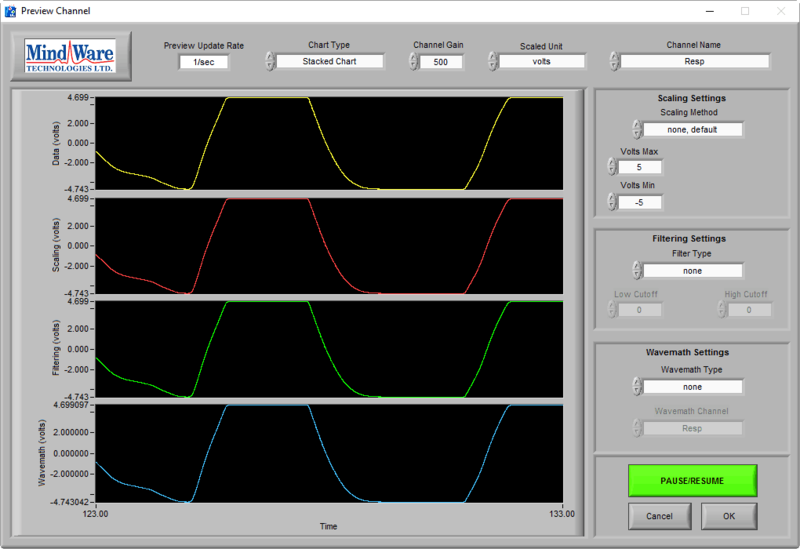 Below are the recommended starting gain values for different BioNex modules when collecting different signal types. It is always important to preview your data to ensure the gain setting is appropriate. If gain is set too high, the waveform will appear suddenly flat across the top or bottom of the graph as the amplitude nears +/-5 volts. 2nd Generation – 50 To identify the generation of your module, see this support article. Large Muscle EMG 500 Bicep, Quadricep, etc.